A perfect opportunity to escape from the theme parks and see what Florida is really all about! Discover the other part of Florida with our Florida Adventure Tour. Spend the day relaxing and taking in the natural beauty of the Crystal River area. Our ECO tour will take you to Citrus County Florida, home to some of the most beautiful spring fed rivers in the state. You will get to experience Crystal River, Homosassa River and Withlacoochee River. Take a boat ride up Crystal River to Hunter Spring or Three Sisters Spring. Then Jump in the river to begin Snorkeling. Manatees are often seen near the springs. Back on dry land and we head for the Homosassa Springs State Park. Enjoy Lunch while you explore the Wildlife Park. 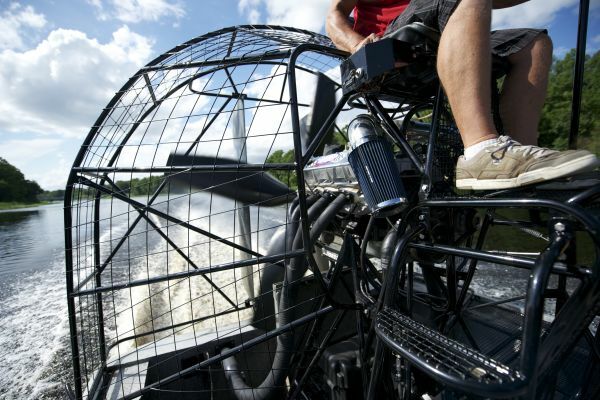 Finish the day with an airboat ride on the Withlacoochee River. A perfect opportunity to escape from the theme parks and see what Florida is really all about! After breakfast, it’s off to the picturesque Crystal River – home to the endangered “gentle giant of the sea,” the Florida manatee. You can choose to snorkel, swim, paddleboard or kayak. If you’re lucky, you’ll interact with these beautiful creatures. At the very least, the excursion provides stunning, peaceful views of the natural Florida surroundings. The perfect tour to sit back, relax and enjoy the natural surroundings of Crystal River. Let us surprise you for the remainder of your day by showing you one of Florida’s best-kept secrets – Homosassa State Wildlife Park, where Florida’s natural beauty hosts wildlife, including more manatees, bears, and even a hippopotamus! After lunch, you'll enjoy a fully narrated airboat ride. You can also learn more about this southern state's wildlife from the knowledgeable tour guide. It’s a perfect day out for the entire family. Once in a lifetime opportunity to interact with an ENDANGERED species. 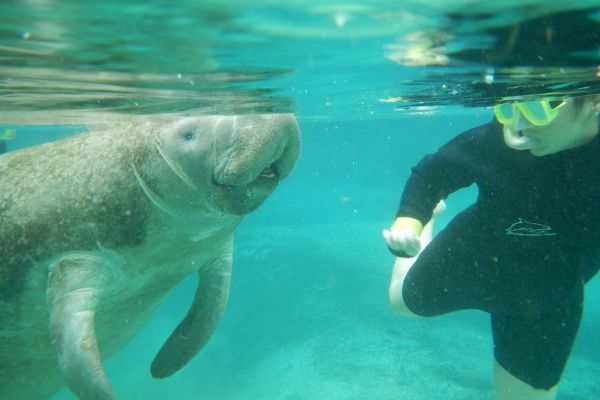 Citrus County FL, where the Crystal River is located, is the ONLY location in the entire USA that you are LEGALLY allowed to have interaction with manatees in the wild. Wetsuits are available for rent locally ($10.00) and act as an excellent buoyancy aid. Clients are encouraged to wear their swimming outfit underneath their morning clothes to aid in quick departure out on to the Crystal River. 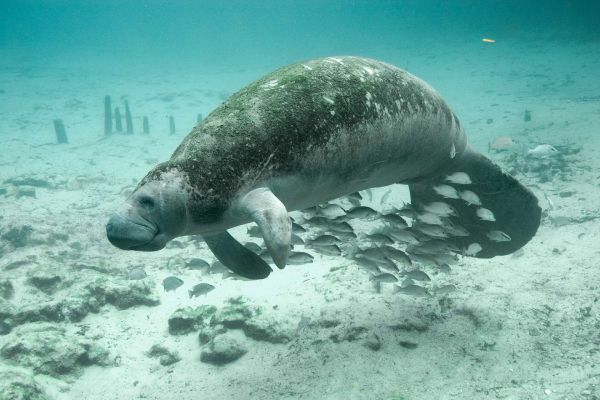 Crystal River is lucky to have a group of approximately 80 manatees that stay all year round. During the colder months, an additional 300 more join them! 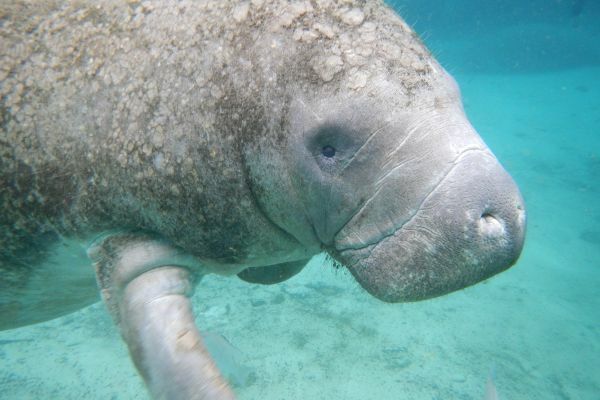 The constant 72-degree (F) temperature of the spring-fed river and abundance of underwater plant life make it the perfect habitat for the manatees. The manatees in Crystal River are wild animals and, as such, we are unable to guarantee interaction. However, our expert Coast Guard-certified boat captains will do everything they can to make this happen. Homosassa Springs State Wildlife Park is home to wildlife indigenous to Florida and is known as a rehabilitation sanctuary for injured Florida wildlife. The only exception to the indigenous rule is their resident hippopotamus “Lou.” Lou has been granted honorary Florida citizenship by the State of Florida and calls the park his home. Yes you can rent wets suits on the day of the tour. The wet suits cost $10 each.